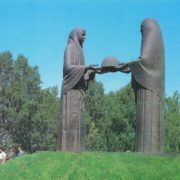 Recognition came to the young sculptor in October 1958 with the opening of “Eaglet” monument on the Crimson Field in Chelyabinsk. 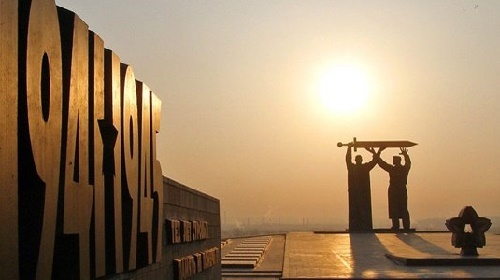 It has become the hallmark of the city. 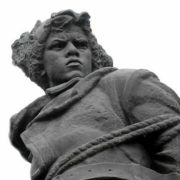 Komsomol members and youth of the city when selected the monument to Komsomol heroes of the October Revolution and the Civil War in the Urals preferred this very sculpture. 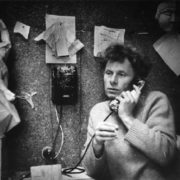 In 1967, Lev Golovnitsky got an award – the Lenin Komsomol Prize. 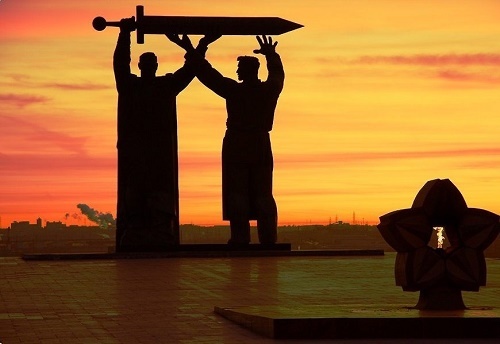 To the feat of the Ural citizens in the Great Patriotic War dedicated Monument to volunteers and tank crews, Monument “Memory”, established in Chelyabinsk, as well as monument “Rear to the Front” in Magnitogorsk. 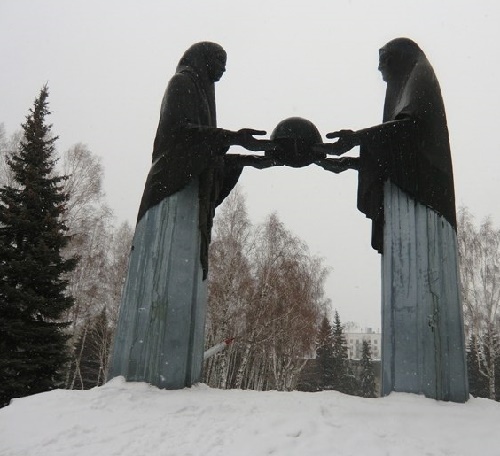 “Rear to Front” – a monument located in the city of Magnitogorsk. 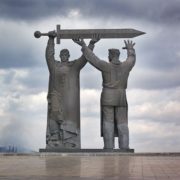 The monument is the first part of the triptych, consisting also of two other monuments – famous “Motherland” on Mamayev Kurgan in Volgograd, and “Warrior-liberator” in Berlin’s Treptow Park. 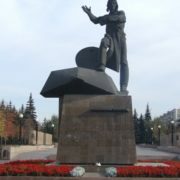 The authors of the monument – sculptor – Lev Golovnitsky, and architect – Yakov Belopolsky. 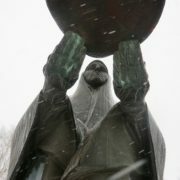 Material – bronze, granite. 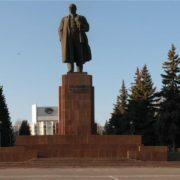 Height – 15 meters. 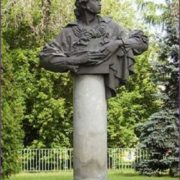 In 1977, the sculptor was awarded the RSFSR State Prize of Repin for sculptures “Urals”, “Hymn to the fighters,” and the “Plowed field.” Among other monumental works of Golovnitsky: Monument to Alexander Pushkin (together with E.E. 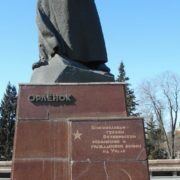 Golovnitskaya) in Chelyabinsk, bust of twice Hero of Socialist Labor, Academician V. Makeyev in Kolomna and general constructor of Chelyabinsk Tractor Plant I.Ya. 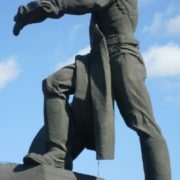 Trashutin in Chelyabinsk. 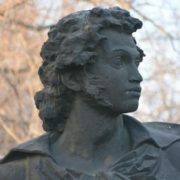 Lev Golovnitsky actively engaged in social activities. 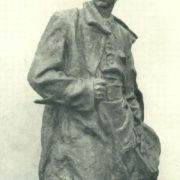 He was elected as a board member and chairman of the Chelyabinsk regional branch of the Union of Artists, a member of the Union of Artists of the USSR, member of the Bureau of the Chelyabinsk Regional Party Committee, deputy of the Chelyabinsk City Council deputy of the USSR, delegate of XXIII and XXVI congress of the CPSU, XVI Congress of the Komsomol, I-VII Congress of Soviet artists, I-VI congress of artists. 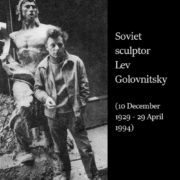 April 29, 1994 the sculptor died. 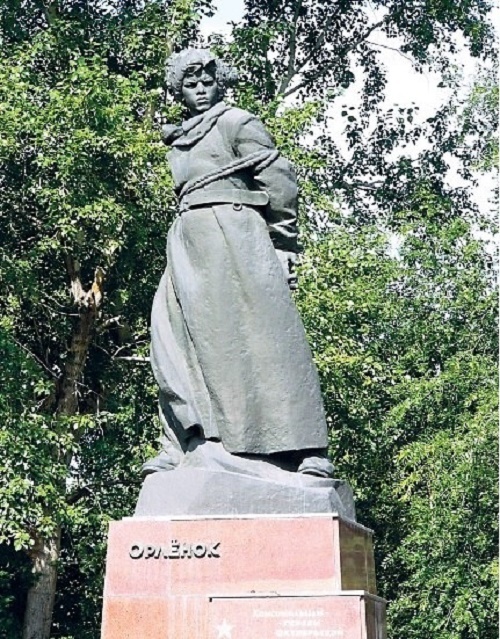 Golovnitsky bequest body was cremated, and the urn with the ashes buried in the Assumption Cemetery in Chelyabinsk. 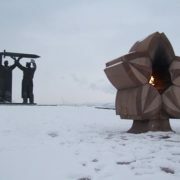 In 1975, together with his wife – a sculptor Enrika Golovnitskaya created the monument, called “Memory”. 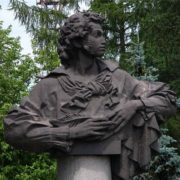 Installed on the Forest Memorial Cemetery, it has become a haven for soldiers who died of wounds in the evacuation hospital in Chelyabinsk. 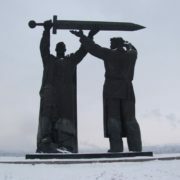 The monument stands on a hill, shows two Russian women – mother and wife, dressed in mourning clothes, and in their hands they hold the helmet of the warrior. 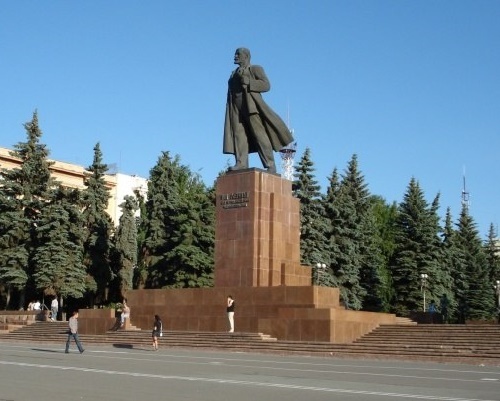 May 9, 1943 on Kirov Street took place a solemn farewell to Chelyabinsk tank volunteers to the front. Lev was a witness to this event. 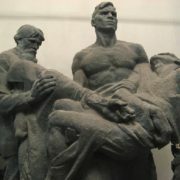 Later, these memories helped him create a monument to the tankers volunteers. 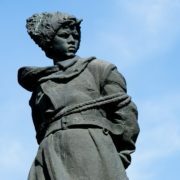 In 1975, in honor of the 30th anniversary of the Victory, the Monument was opened on Kirov Street.